A lot of fun tech in this post. First, I hope you like the video embedded above. 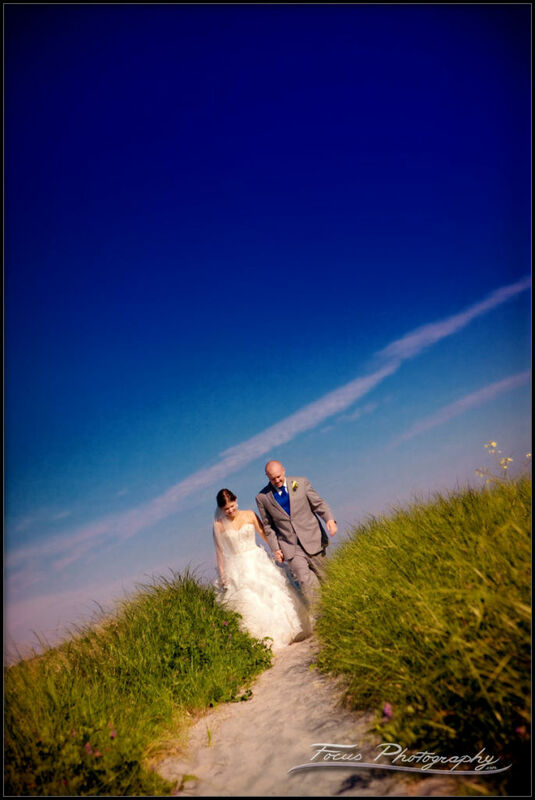 I’ve made slideshows for my wedding clients for a decade now, and love that most devices can play them flawlessly now. I hope you’ll watch this Landing at Pine Point wedding show – it’s under 4 minutes. 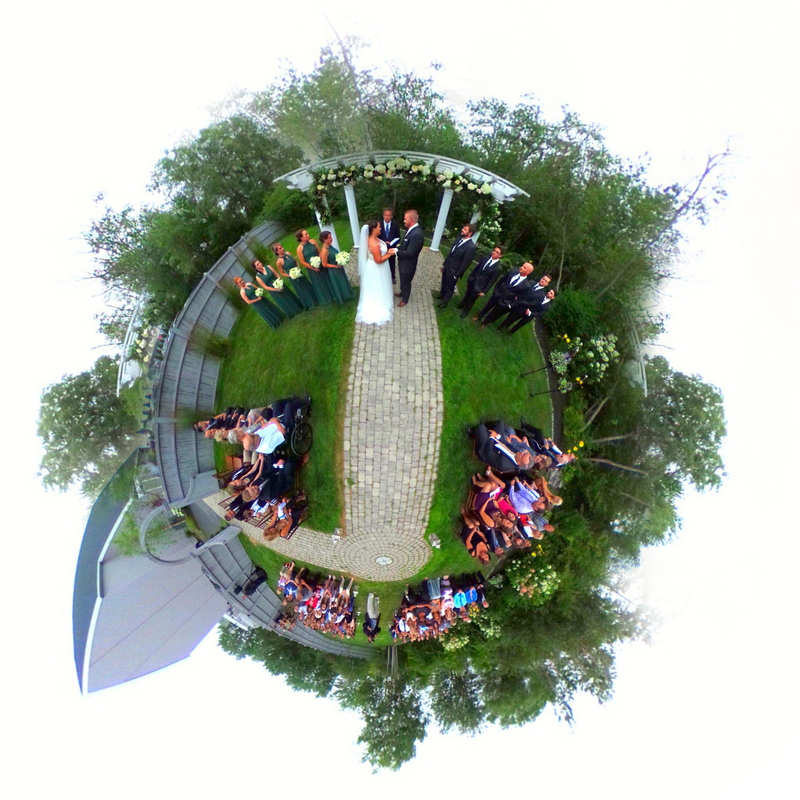 Second, did you click the link above this text to see a 360′ view of the ceremony? What are you waiting for? Finally, that same image wrapped around itself produces the ‘little planet’ image on the left. Cool, right? I’ve known Britney since I photographed her high school senior pictures – nine years ago. There’s still a picture of her hanging in our studio. I can’t possibly describe how excited I was that she chose us to photograph her wedding. 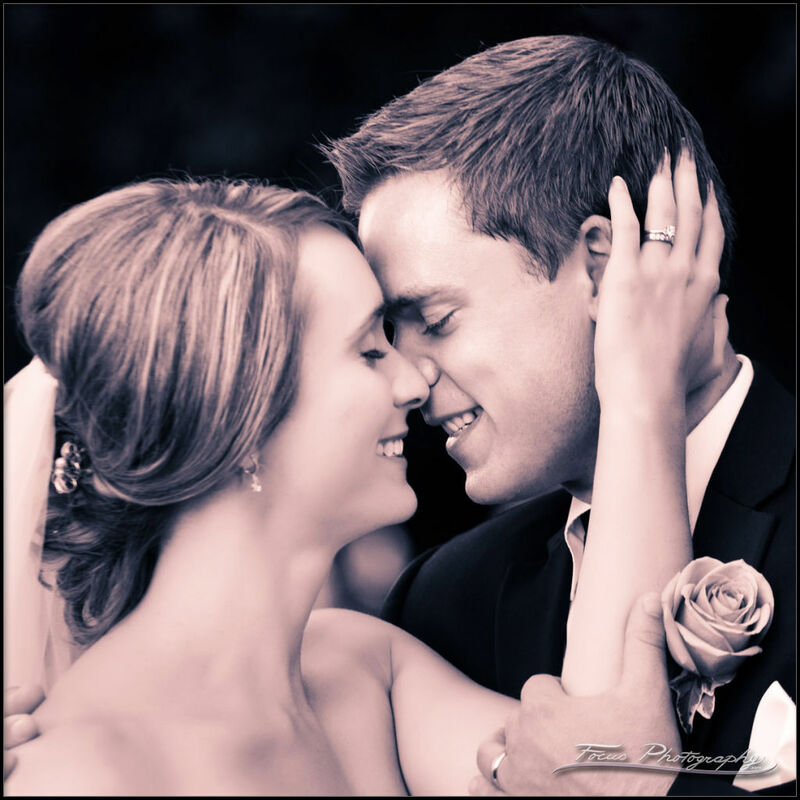 She and Craig have moved down to Massachusetts, but they wanted to get married back in Maine. Everything happened at the Landing, but not necessarily in the order I’ve shown it in the slideshow. We photographed Craig and his guys while Britney and the girls were getting ready, and they had a little time to kill after we were done. When Britney was in her dress, she wanted to go to the beach down the street for her ‘first look’, or reveal, with Craig, so I walked him down there and waited for her (Lucia drove her down – we didn’t really make the bride walk down the street, but the groom…sure.) When we came back, the bridesmaids were dressed, so that’s when those images were taken. The Landing is operated by Black Tie Catering, and they have a great team – everything ran smoothly, and the food was great. Laurie Andrews provided the flowers; Double Platinum the entertainment; and Stephanie and Brianna killed it with hair and makeup. As Maine wedding photographers, we love it when a couple comes up from Massachusetts and uses all Maine vendors for their destination wedding!